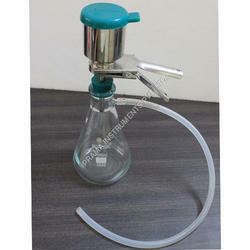 We are one of the leading manufacturer & supplier of Filter Holder. By understanding the varied needs of our valued patrons, we are broadly involved in presenting a quality approved spectrum of Sterility Test Filter Holder in the market. 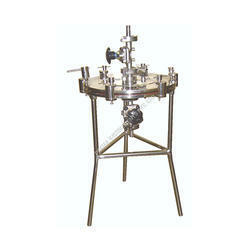 The offered holder is designed and developed from high quality components and modern technology. Being a quality conscious organization of this realm, we assure that the required quality of the offered holder is maintained at all time. Owing to their best performance, these holders are extremely demanded by the customers. Supported by a team of skilled professionals, we have been able to offer an exquisite array of Inline Process Filter Holder to our valued customers. 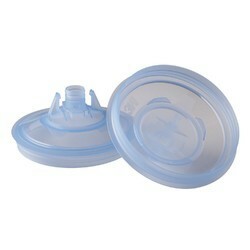 The assortment of offered holder have been examined for its superior quality, durability and optimum performance. These holders are highly used in various industries owing to their special features. In addition to this, we are providing these holders at nominal market prices. Backed by skilled and experienced engineering expertise, we are engaged into offering a vast collection of Reusable Syringe Filter Holder to our valued customers. 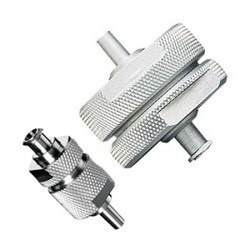 Offered holders are designed and fabricated utilizing utmost grade material and innovative technology in complete tandem to the industry standard. Our offered holders are highly acclaimed for their optimum quality. Our company is known to be the leading manufacturer, supplier and exporter of Micron Filters. We make use of premium quality basic material for manufacturing the range. Micron Filters are used for removing unwanted inactive ingredients that directly affects the lungs. The range is highly easy to install, operate and maintain. We offer the range as per the specifications made by the clients. Micron Filters are made available in precision designed and constructed finish and finds application in areas like Pharmaceutical industries, Hospitals, Research laboratories, Marine industry as well as in many other industrial areas for meeting the demands of water filtration. Looking for Filter Holder ?